The Hong Kong Alumni Chapter is one of the University’s longest-standing chapters, having formed in 1999. There are currently over 6,000 alumni living in Hong Kong, the majority of whom are from the Faculty of Business and Economics, and many of them are graduates of Macquarie Graduate School of Management. The Hong Kong Alumni Chapter committee has dedicated much time and talent to supporting alumni engagement, organising business seminars and social events for Hong Kong alumni and using their networks to stay connected with each other and with the University. 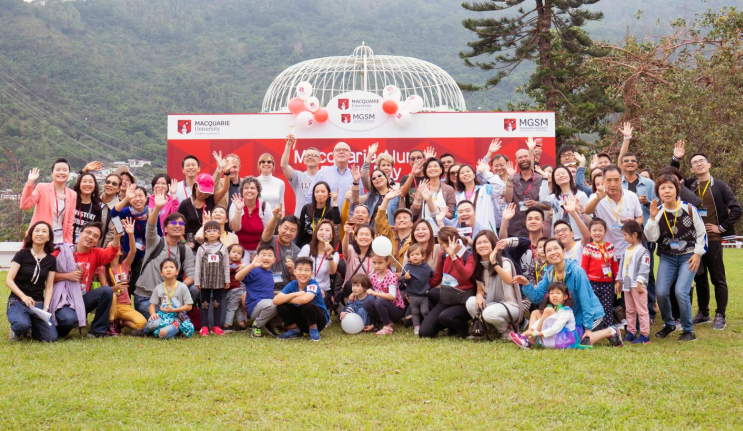 Recent events included a gathering of Hong Kong alumni at a Family Fun Day on 3 November last year (pictured above), business seminars on subjects like cashless economies and blockchain transformation as well as more informal networking drinks. The committee this year welcomes a new president Clement Lam, who has been involved with the Hong Kong chapter for many years. Clement studied two degrees at the Macquarie Graduate School of Management (MGSM) Hong Kong campus. In 1999 he graduated with a Master of Management and in 2001 he completed his MBA. How can I be a part of a network or chapter? As a Macquarie alumni you are a member of a vibrant community living and working around the globe. Take advantage of an existing network to stay connected or be re-connected with each other and the University. Through our Global Alumni Network, you can join chapters and networks run by our wonderful alumni volunteers and participate in thought-leadership and networking events across Australia, the Asia–Pacific, Europe and North America. If you are interested in forming your own network in your region and would like some guidance, please be in touch at alumni@mq.edu.au. Chapters vs networks – what’s the difference? Alumni Chapters have a formal operating structure and are often incorporated bodies. They elect officers, hold official meetings and are governed by the Chapter charter. They host Chapter events and support University events in country. Alumni Networks are informal groups in locations where there are smaller numbers of alumni. Network volunteers periodically organise alumni events to facilitate connections and assist efforts to build affinity with Macquarie. How can I get in touch with Clement Lam and contribute to HK chapter?